Ultracon is proud to announce the newest guest to the roster, Jeremy Palko. 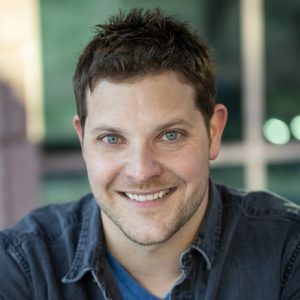 Jeremy Palko is an American actor in film and television. He was born in LaGrange, GA and moved to Washington State at the age of 5. Jeremy grew up in Puyallup, WA where he attended Rogers High School. A graduate of the University of Washington in Seattle, Jeremy had his first experience in the theater after a knee injury sidelined him from collegiate sports. Jeremy found his first speaking role in the film Never Back Down. Jeremy has since gone on to play numerous parts in such television shows as The Vampire Diaries, Are We There Yet?, Burn Notice, The Middle, and Sleepy Hollow. Most recently, Jeremy can be found on the Emmy Nominated show Bloodline, as Nicholas Widmark and Andy on AMC’s The Walking Dead.